Home Cirque	Cirque Colors New Holographic Shades! Attention nail polish fanatics! Cirque Colors has new holographic shades for August 2018! 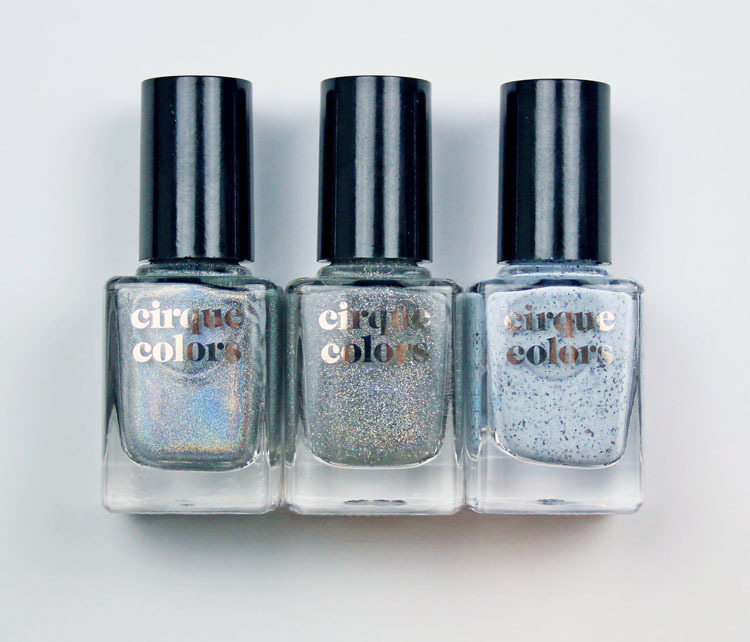 Yep, two brand new holo shades just came out yesterday, one linear, one scattered, and an awesome re-release of an old favorite has joined in on the fun as well. Everything here has a great formula, as one expects from Cirque, and they all swatched perfectly in just two coats. 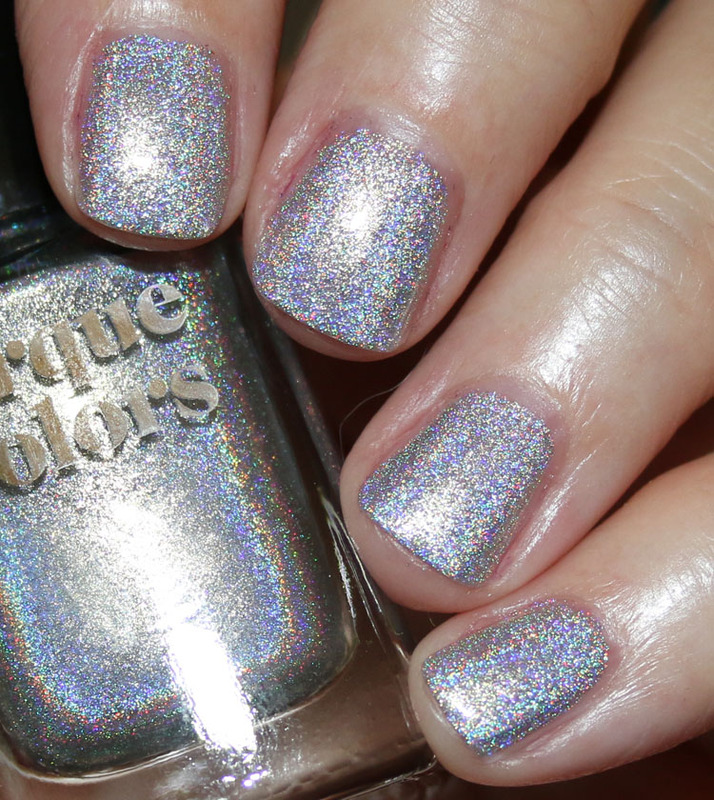 Subculture is a super strong linear holographic made with pure holo pigments. This is two coats. Delirium is a scattered holographic top coat and this is swatched over my favorite black polish ever, Cirque Memento Mori. This is one coat of Memento Mori (yes, it’s THAT pigmented) and two coats of Delirium. Acid Wash (which is a re-issue) is a very pale blue with speckled denim blue pieces throughout. This is two coats. Well I for one am in love with all three of these. I mean Subculture is SO intense and amazing, if you love holographic stuff, then you NEED this one. Delirium is a gorgeous scattered holo top coat, so smooth and intense. And Acid Wash, which I don’t believe I had in my collection previously, is awesome! I don’t usually like this kind of polish finish but I really love the blue color combo of the base and the flecks and how they lay nice and flat on the nail. Very pigmented as well. You can find these shades on their site now. Is there anything you see here that you are drooling over? I have to have Subculture, OMG. I love anything holographic, and I’ve been looking for a polish so I don’t have to deal with those freakin’ messy OPI powders anymore. Waaaaant!